Follow the link below to a very well done, professionally produced introduction to The Alexander Technique. This is excellent for those who know nothing about the Technique. Make a cup of tea, sit back and enjoy. It’s 20 minutes long. I am very interested in learning the Alexander technique. I know that you are going to offer your classes at UC in February and March. Unfortunately, I won’y be able to come on February 6 and 20. Do you teach this class on any alternative days? Thank you. 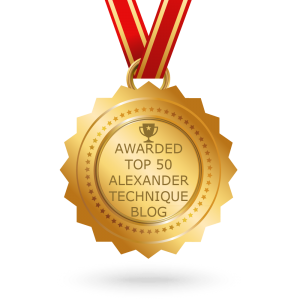 Thank you for your interest in the Alexander Technique! I’m sorry, but my AT classes at UC and in Madeira are all currently full for the spring semester. However, please let me know if you would like me to put you on a waiting list for a class at Balance & Harmony Alexander Technique next fall (this is a Saturday class), or if you would like to try private lessons at any time. You can email me at roigfrjr@uc.edu or contact me through my website for more class information and rates, or if you have any other questions. All best to you!